When you plan and brainstorm your ideas, do you write them? Many of us do. But we live in an incredibly visual world. And, eventually, you'll also need images to fully explain your ideas. Illustrating a point-by-point narrative is easy – you can tell simple stories with your own photos, or find them quickly on the internet. But how do you show contrasting points of view, or complex sequences of events? These non-linear ideas are notoriously tricky to illustrate. If you're a Hollywood film director, you use a storyboard. 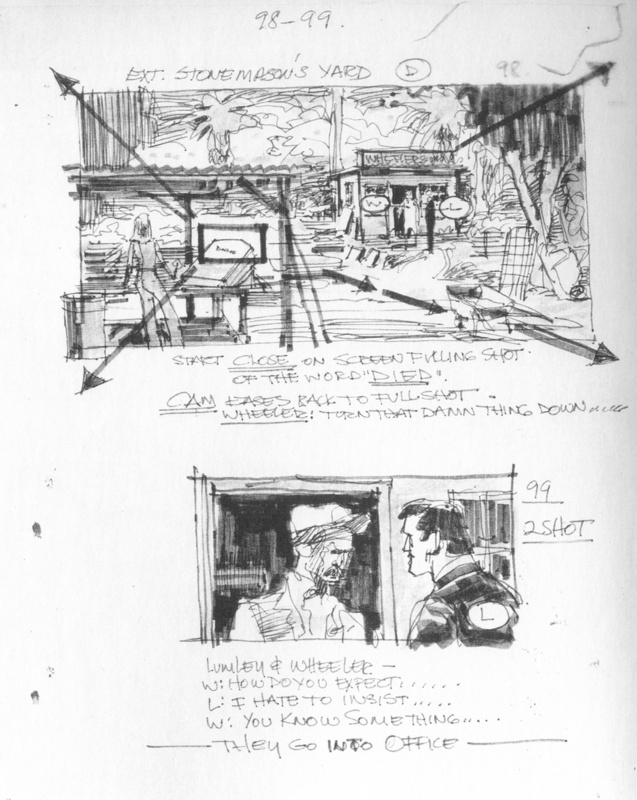 Great directors from Alfred Hitchcock to Wes Anderson have relied on storyboarding. It's the classic route from a written script to a visual movie. Here's a great example by Robert F. Boyle from the Hitchcock classic North By Northwest (1959). 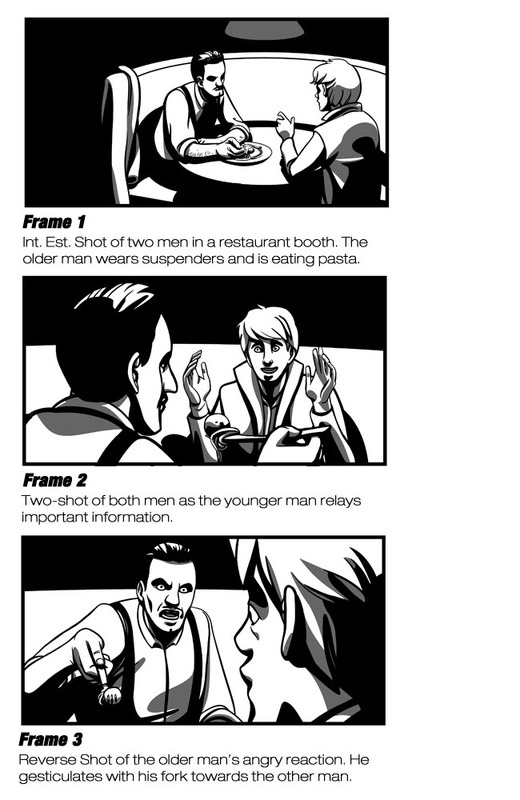 Storyboarding involves drawing out successive shots in a movie or animation. The result looks a lot like a cartoon strip. But there's an important difference. In a storyboard, successive images are drawn to the same size so that the director can work out how the camera should be positioned each time. It's not only all storyboarded. It is very carefully storyboarded and then sort of edited into a moving storyboard. It is still images but you actually edit the movie before you shoot it, and that is such a helpful thing to do... It's a way to figure out what goes where and how it all fits together and how we’re going to construct it as well as how we're going to shoot it. The best directors bring complicated ideas and relationships to life using clever camera moves, cuts and juxtapositions. Detailed storyboards help them plan these sequences. 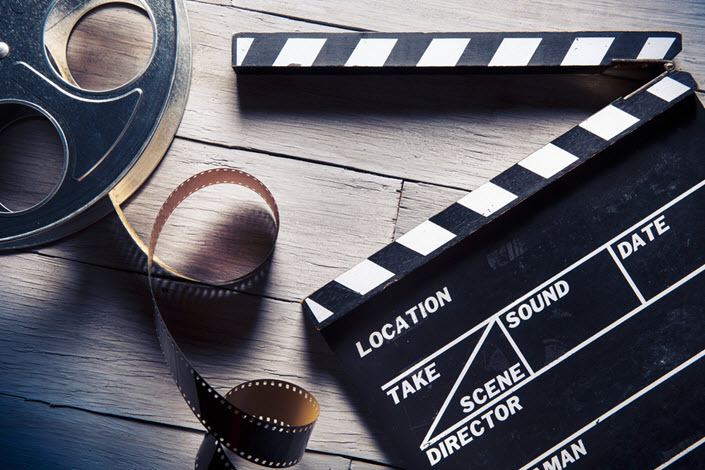 Here are 3 Oscar-winning ways to bring drama and feeling to your visuals. Let's use another classic storyboard to examine an essential film technique – zoom. Here's how Hitchcock's artist sets up a zoom in Family Plot (1976). The establishing shot tells us we're in a stonemason's shop, and that business is brisk. There's a lot to see. Then the zoom draws our full attention to the conversation between Lumley and Wheeler, which we sense will be important to the action. Going from establishing shot to close-up is a great way to cue the audience to expect a greater level of detail. You can get the same effect by zooming in to a section of the image you're presenting, or by cutting from long shot to close-up. This is how countless movie directors show the drama and conflict of a clash of viewpoints. This example from comic book artist Devin Larson begins with another establishing shot. Once again, this sets up the context of the exchange – but it's more intimate, putting our focus on the two characters from the outset. Shot #2 moves us into the older character's point of view as the younger man shares his news. Finally, the abrupt move into shot #3 – the reverse shot – shows the reaction of character #1. We can tell he doesn't share the younger man's perspective, and the action advances as the tension increases. Shifting your point-of-view is a great way to present both sides of an argument, or different ways of interpreting a piece of information. Movies excel at showing how individuals in a group react differently to the same set of circumstances. Multiple points-of-view are their stock-in-trade – and a montage is multi-PoV in its purest form. Montage was pioneered by Sergei Eisenstein. Our last example comes from his groundbreaking film Battleship Potemkin (1925). The storyboard hasn't survived, so some stills from the finished movie will have to do. Eisenstein uses the horrifying image of the baby carriage careering down the stone steps to hold the sequence together. Each face flashes with its own particular reaction, but the identical framing tells us they're all responding to the same event. You can show as many viewpoints as you like, provided your unifying theme is sufficiently compelling. Movie inspiration is all around. Use it. Did these examples give you some new visual ideas? This short article only scratched the surface. Thanks to YouTube, the rich history of film language and storyboarding is only ever a click or two away. Immature artists borrow, mature artists steal.